Science. Creative Pursuits. All things Culinary. 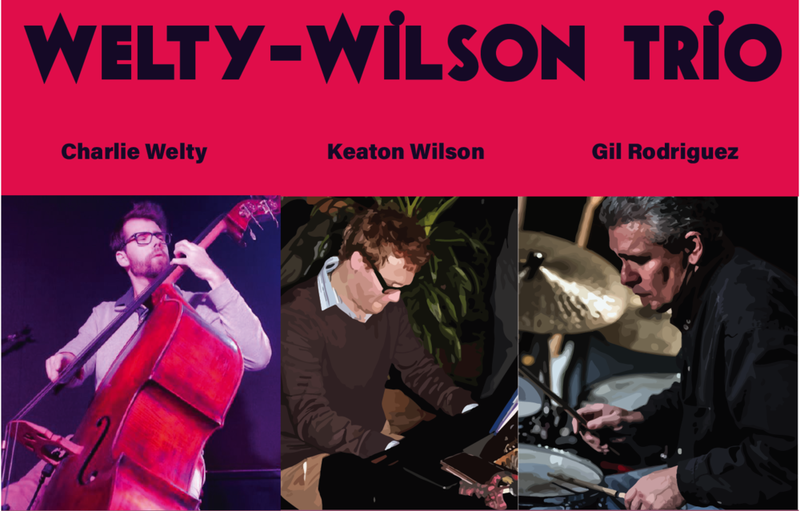 The Welty-Wilson Trio is the brainchild of bassist Charlie Welty and pianist Keaton Wilson, featuring Tucson percussionist Gil Rodriguez. With over 60 years combined professional music experience, we specialize in a unique blend of originals, standard, and arrangements from the New American Songbook. Modern and tasteful chamber jazz with hints of Third Stream, Fusion and non-ironic pop covers. The Captain Wilson Conspiracy, born in 2010 is the brainchild of upright bassist Steve Kalling and keyboardist Keaton Wilson. The group has several incarnations, and often features DR Halsell on guitar, Ed Stalling on Drums. The group's focus is modern chamber jazz, playing original compositions, novel arrangements of jazz standards and pieces from the American songbook. The group plays regularly throughout Montana, and is centered in Missoula. Our first album, Used Rocket Ship Salesman, featuring all-original material can be purchased on iTunes. Marisa McTucker from The Lively Times writes: There's lots of elastic jive here, and I've barely scratched the surface. Jazz lovers, you best give this CD a spin. Heck, everyone should! Listen to our recorded interview on MTPR's Musicians' Spotlight with John Floridis. In addition, an electronic incarnation of the group featuring just extended upright bass, keyboards, computers and iPad recently recorded the debut album Electrickeries. Links to listen and purchase are to the left. Oh, and like us on Facebook. The Whizpops on their Seattle Tour! 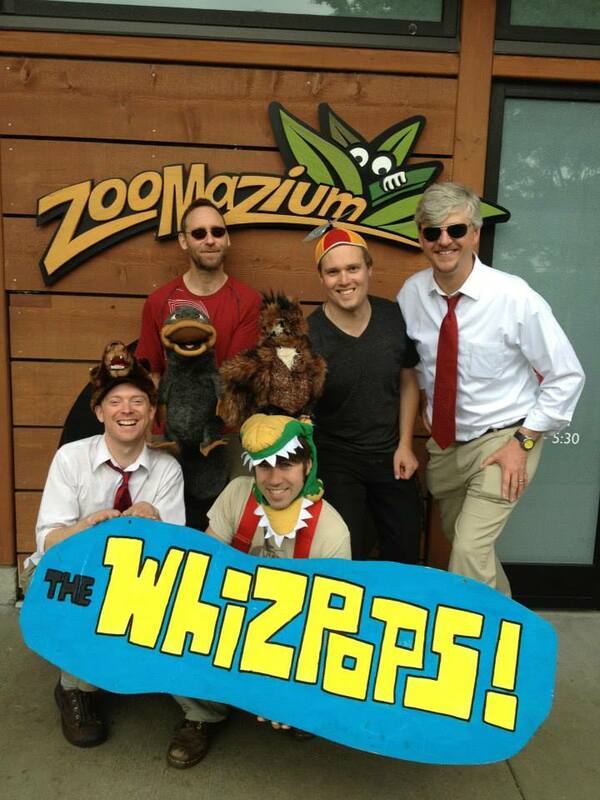 The Whizpops, created by teachers Kevin Cashman and Casey Schaefer, aims to entertain and educate kids and parents alike with whimsical tunes about science, nature and the world around us. We recently released our third album, Sea Blue Sea, which is available through iTunes or on Amazon. Our second album, Science and Wonder is available locally in Missoula, through their website and also on iTunes. In addition to bandleaders Casey and Kevin, the band features Daniel Kiely on drums, Steve Kalling on Bass, Margi Cates on vocals and Keaton Wilson on keyboards. Check out the Whizpops on Facebook! For more information on Changing Balance/Balancing Change or Fire Speaks the Land, get in touch with the projects' creators, Steve Kalling and Karen Kauffman. Co-composer, performer and scientific consultant on two performance-art pieces: Fire Speaks the Land and Changing Balance/Balancing Change. Designed for K-6 students, Fire Speaks the Land features five dancers, a narrator, unique scenery and lighting, and colorful costumes as well as several opportunities for the audience to participate in the performance, both on and off stage. Students learn about ecological issues relevant to the Rocky Mountain region through an artistic, narrated performance that both delights and informs. Changing Balance/Balancing Change weaves artistic dance, original music, choreographed narration, video projection, and live interactions with the audience into an immersive arts experience designed to engage audiences with the ideas and emotions at the heart of climate change. Developed for 5th grade and higher, the content includes: rate of temperature change, greenhouse gases, carbon footprint, and positive action we can take in response to the realities facing our planet. The active audiences approach provides innovative methods of engaging audiences and emphasizes the value and role of attention, patience, and creativity as we, and our world, move into the shifting balance of our dynamic climate. Changing Balance/Balancing Change was so incredibly beautiful and well done. Round of applause for all. The costumes were gorgeous and made the story come alive, the dancers demonstrated feelings and reinforced the importance of balance, and the narrative was compelling and inspiring.